Tucked away amidst bead shops and souvenir boutiques hides a piece of Italy you won’t want to pass up during your next trip to Cannon Beach. Bella Espresso offers a wide assortment of sandwiches, salads, soups, and beverages; not to mention gourmet desserts including Gelato and smoothies. Fellow Tea Bud Jane Green and I stumbled upon this cute little place this weekend. We were both instantly taken by the surprising decor, transforming this modest retail space into a luxurious sanctuary. Life-size murals cover the walls of the cafe with Tuscan colors and rustic columns. Bella provides plenty of comfortable seating options for singles, couples, and groups. If you are lucky enough to catch some sunshine, be sure to take your beverage outside and grab a bistro table next to the three-tiered fountain. As for the tea, Bella serves one of my favorite bagged tea brands, Mighty Leaf. 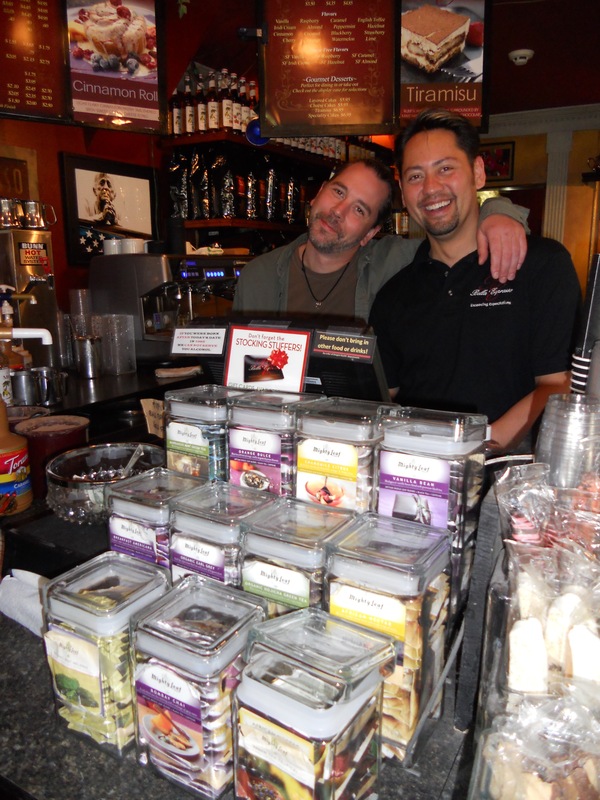 Bella offers complimentary wireless internet, and also sells a variety of their coffee and tea products online. It was SO fun discovering this place with Holly and what a find! I hope you all have chance to experience it some time soon. So charming. PS: My fav Mighty Leaf right now is Rain Forest Mate with Ginger Twist a close second.